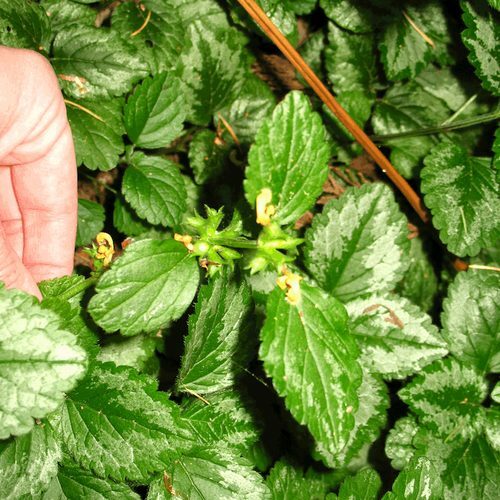 Yellow archangel is an evergreen to semi-evergreen, fast growing perennial groundcover that can be trailing or upright if growing over other plants. 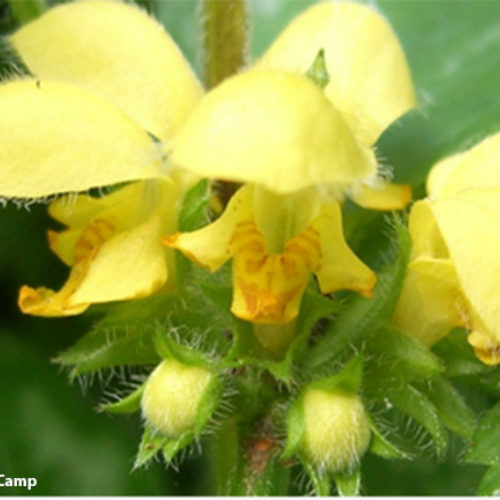 Flowers are small and yellow and two lipped—the upper lip is hooded and the lower lip with orange to brown markings. 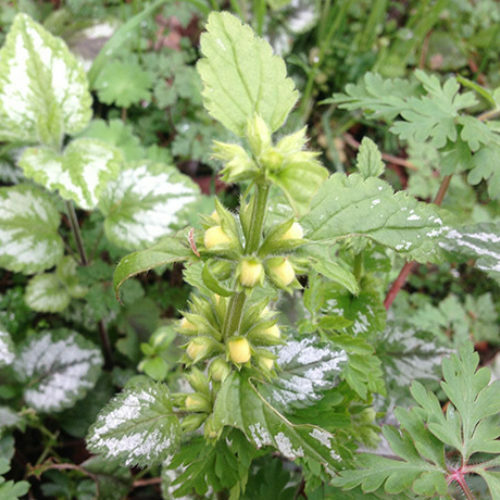 Flowers are in whorls in leaf axils on short stalks, blooming in early spring. 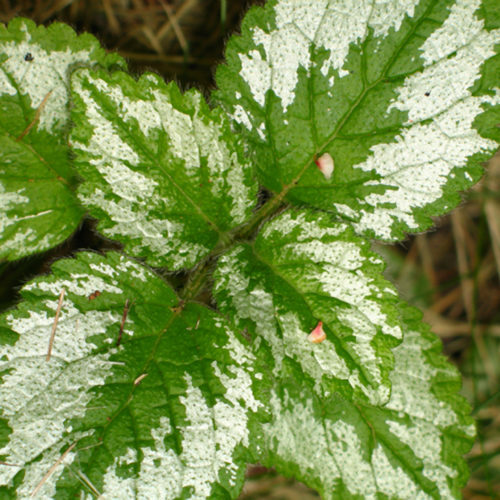 Leaves are oppositely arranged, oval shaped, toothed, and hairy with typically variegated silvery-gray markings. 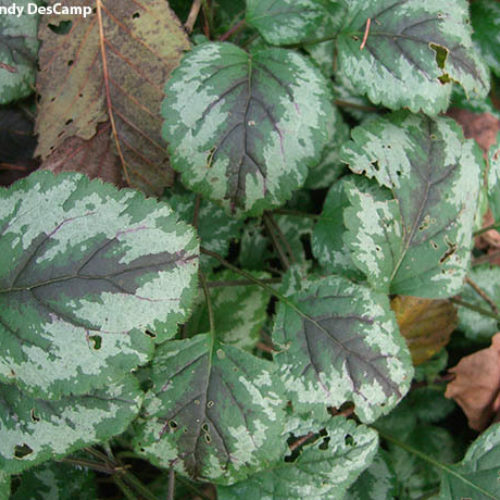 In cold temperatures, leaves develop a purple coloring on the undersides and in the center of the leaf above. 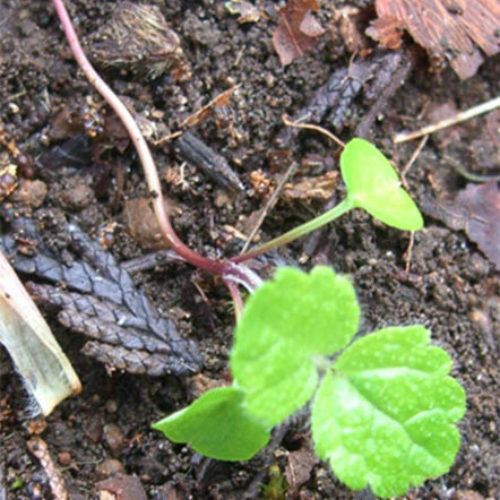 Stems grow along the ground and can root at leaf nodes and along the stem in wet soils. 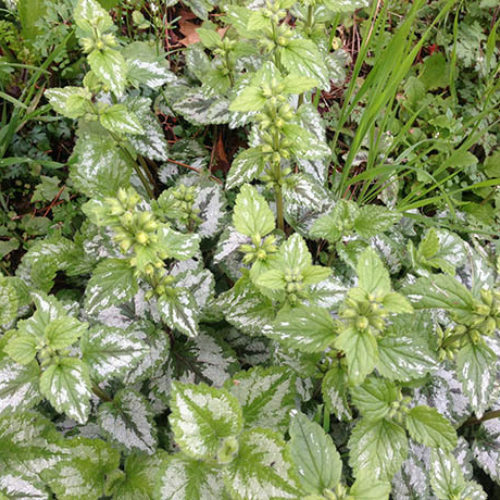 Stems are green and 4 sided. Stems freely branch, forming dense growth. Flowers form 4 nutlets, with each nutlet containing one seed. 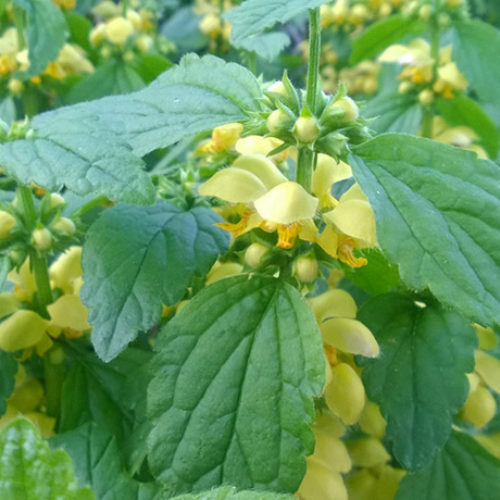 Yellow archangel can grow in sun to shade. 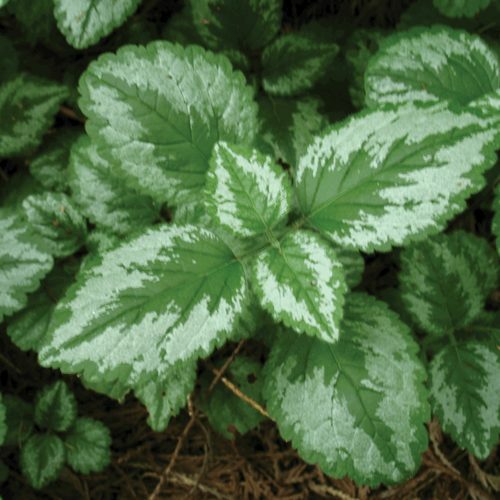 It often escapes from residential plantings to nearby forested areas, greenbelts and riparian areas. 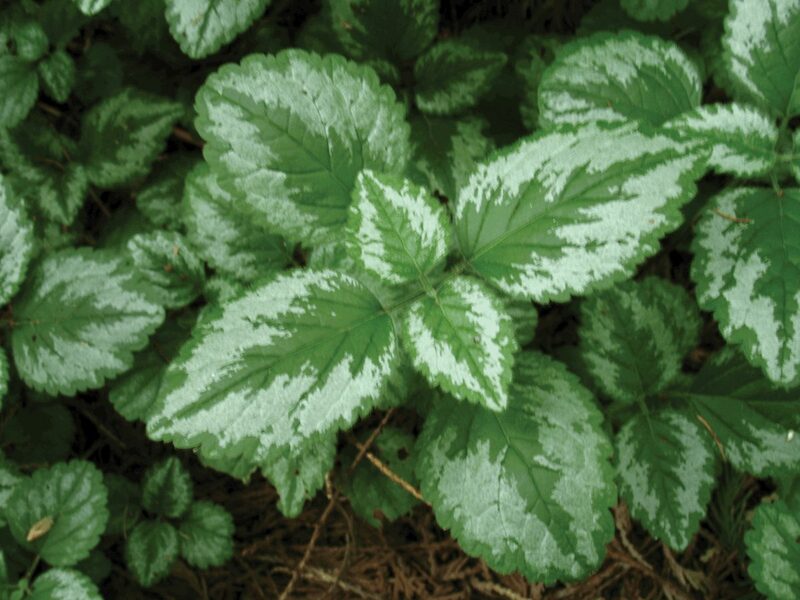 It can be found in the residential setting in gardens, rockeries and ornamental borders. 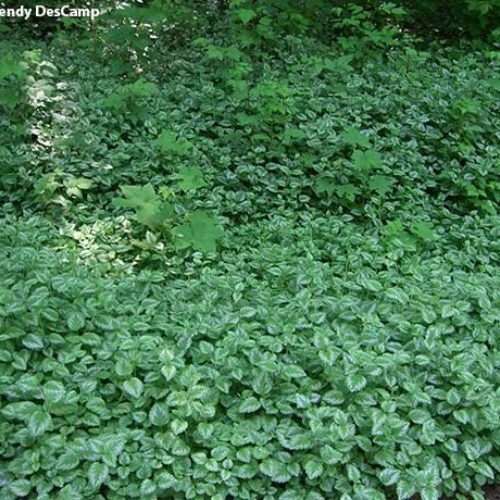 Please click here to see a county level distribution map of yellow archangel in Washington. It reproduces vegetatively from nodes on stem as well as stem fragments. 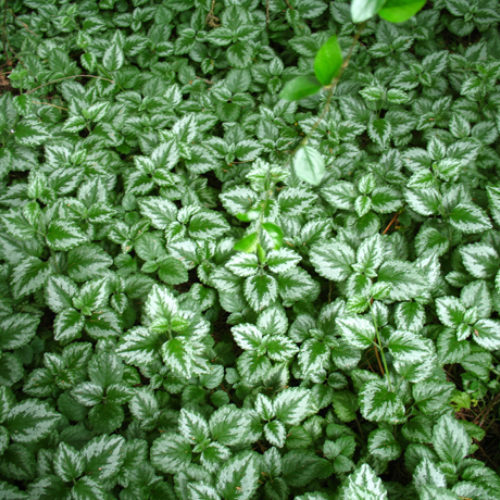 It can also spread by seeds. 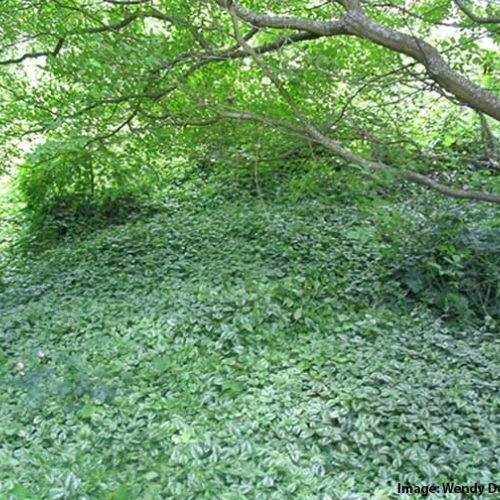 Some infestations in Washington are from old hanging baskets that still had viable plants in them, which were dumped in natural areas. Vines can be hand pulled making sure to remove roots and stem fragments. Roots left in the soil will re-sprout and will have to be monitored and pulled. 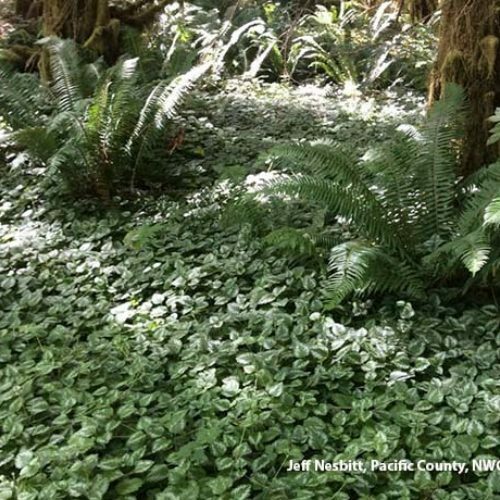 The King County Noxious Weed Control Board reports that when this plant is cut, it re-grows in denser conditions.  Disposal Warning: Make sure to properly discard all plant pieces in thick plastic bags and transport them to a sanitary landfill site. 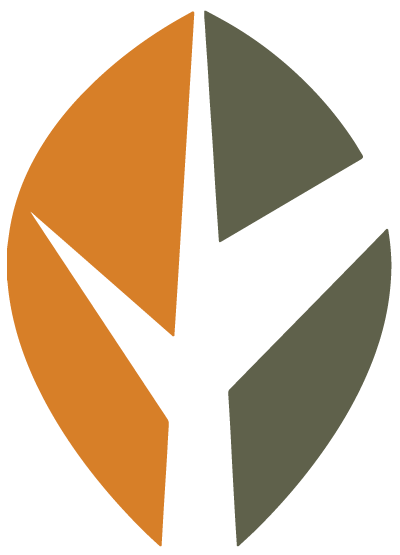 Composting is not an appropriate means of disposal as this may result in further distribution. 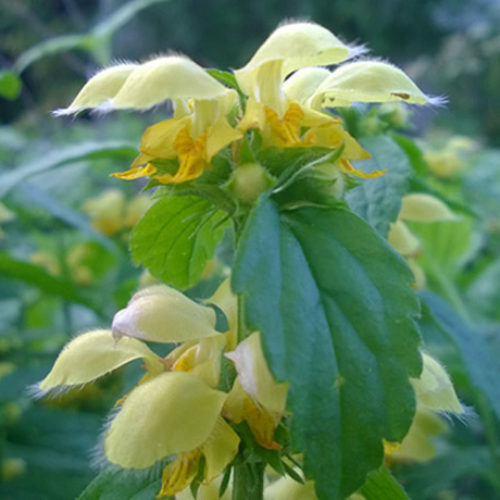 See our Written Findings for more information about yellow archangel (Lamiastrum galeobdolon).